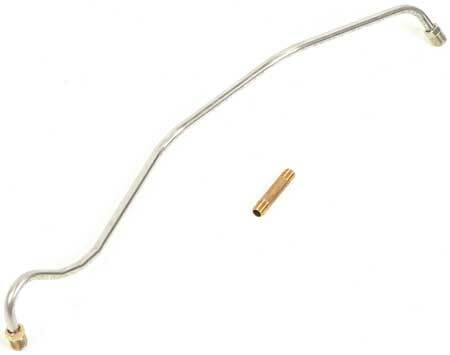 This pre-bent fuel pump to carb line set is the most accurate reproduction on the market. It has all the correct bends in the correct places with the correct flared ends and OE-type fittings. This fuel pump to carb line set is manufactured i n Stainless Steel material for a long lasting, corrosion resistant replacement.